We love planning and photographing secret elopement weddings! 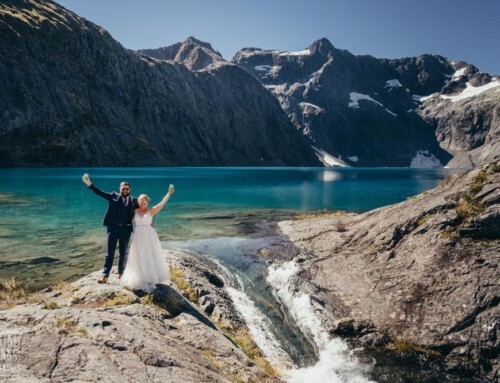 And this lakeside and Cecil Peak wedding was no exception. With the help of Glennys Logan celebrant, the couple had a simple and lovely ceremony at their rented accommodation. Afterwards Scott took them for some photos by the lake. The light on winter days is soft and the sun is low in the sky. Winter is cold, but wonderful for photographers! Luckily we have a couple of designer fur coats to lend to chilly brides. 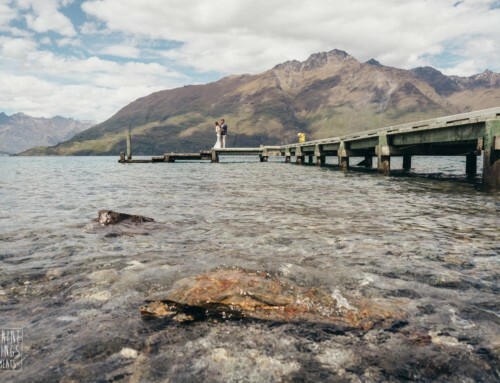 After stunning lakeside photos at the edge of Lake Wakatipu, it was time for a helicopter flight. 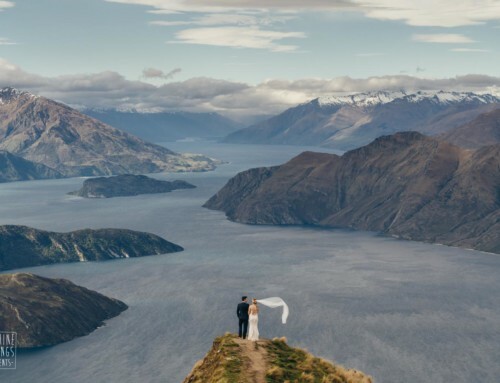 As every Cecil Peak photographer knows, the conditions change every time you are there. This time we had great light, snow and a beautiful, loved-up couple. 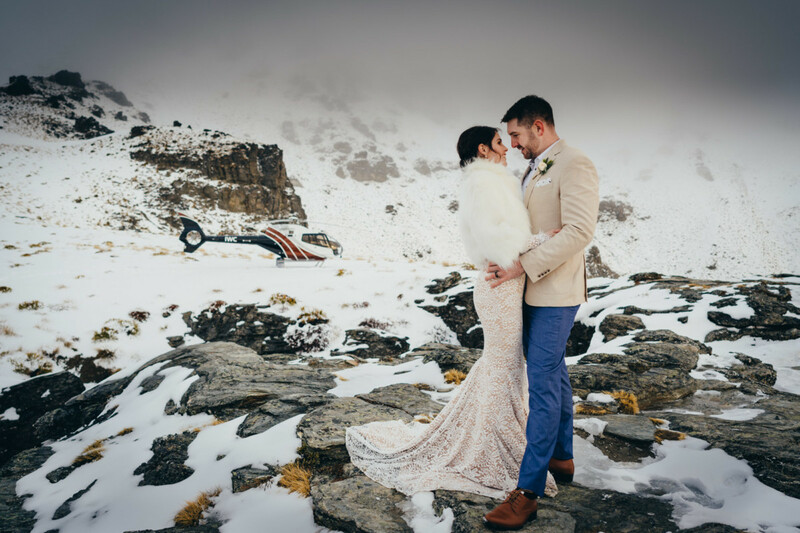 Gemma and Guy booked our Lakeside (on ground) Package with 4 hours on-ground and Cecil Peak photography and an add-on helicopter flight to Cecil Peak. This includes planning and coordination, celebrant, bubbles, witnesses, transport and helicopter. Gemma wears a complimentary fur jacket from Sunshine Weddings.